Home / Universities / Cross River State University of Technology / Cross River University Of Technology Notice On 1st Semester Break/Resumption 2016/2017. 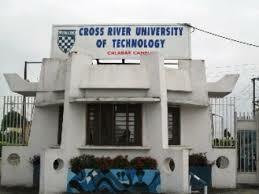 Cross River University Of Technology Notice On 1st Semester Break/Resumption 2016/2017. The Management of the Cross River University of Technology, wishes to inform all staff and students and as well as the general public, that the Senate at its meeting of Wednesday, April 19th, 2017 directed that the University should close for First Semester 2016/2017 holidays with effect from today 19/04/2017. The break is to enable students who are owing school fees to source for and pay all their fees already due in order to be eligible to write the First Semester Examination for 2016/2017 Academic Session. Consequently, all students should proceed on holidays as directed. Students in the Halls of Residence should vacate the halls immediately. The University shall resume for the Second Semester on Friday, May 12, 2017 and Examinations shall commence on Monday, May 15, 2017. All should note and comply with these directives, please. To See Related Post Click Here.!!! Previous Federal University Of Technology Owerri Notice On Continuation Of 1st Semester 2016/2017.